As polls show, the majority of users around the world using a computer with Windows OS. However, only a small portion of users really know your computer. And such an easy task as you zoom out your desktop, it becomes a problem for them. the computer was preinstalled with Windows XP (Vista, Windows 7). Right-click the mouse on any free space on your desktop. Select "Properties" from the drop-down submenu. In the tab "Properties" find "Screen" and then click "Settings". Note the section "Permission screen". Look under the slider, responsible for the scale of the display. Decide on the screen resolution that you need. Read the instructions to the computer, what is the scale of the screen, the computer manufacturer considers the standard and recommends to the installation. Keep in mind that changing the slider under "screen Resolution" will entail changes to the display of all objects on the desktop, and the scale of the table itself. Permission is also responsible for the clarity of the outlines and readability of the font. To zoom out the desktop, set the mouse cursor on the slider, press and hold the left mouse button. Pay attention to proportion: the higher the screen resolution, the smaller the scale and Vice versa. Drag the slider slightly to the left to increase the screen resolution. This action simultaneously changes as the display scale and the size of all objects on the desktop, including standard shortcuts such as My computer, Windows media center, etc. Pay attention to the fact that computer manufacturers deliberately choose utility under a certain scale the desktop. Resizing can badly affect the quality of images and fonts. Cancel the zoom, if there are artifacts or defects in images of text fonts. To return the values approved by the manufacturer in the item "screen Resolution" select the setting "Standard". After selecting the optimal resolution and zoom out your desktop, click "Apply" to enable the new settings. In the dialog box "display Settings" click "Yes" for the changes to take effect. 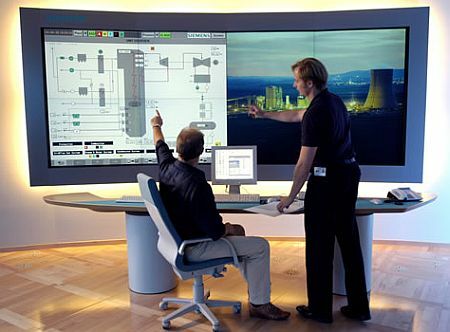 Monitor (screen) is one of the main elements in the chain output. Information is displayed on the screen due to the conversion of certain frequencies. This transformation performs video graphics adapter. Depending on the specs of the applications that run on the computer, the monitor automatically adjusts, exposing the desired desktop resolution. If either the program or any process that cannot be done, then help can only come manually setting the resolution. The resolution setting of the screen through the operating system. 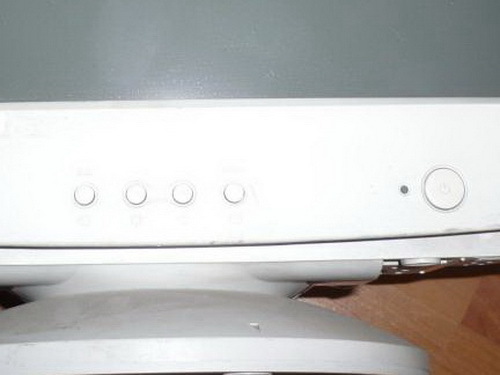 liquid - crystal monitor (LCD). Let's look at ways to reduce the image on the screen of your monitor. 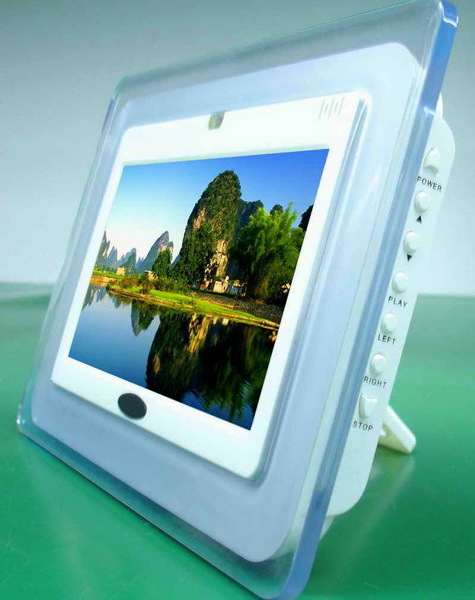 In the LCD monitors are available automatic configuration adjusting the display resolution for each application. Typically, this change happens only when you log in game or out of them. If the desired mode on the screen, you have not noticed, you can use the auto-fit button, which is located on the panel buttons of your monitor. Most often this button is called "Auto". If you click this button, nothing has changed, therefore, the problem is much deeper than we think. In order to reduce the resolution of the screen, right click mouse on desktop – select "Properties". On the Settings tab under "screen Resolution", select the appropriate value. Click "Apply". After that, a dialog box appears that notifies you about the possibility of the return of the executed actions. Click "OK", if the chosen regime satisfies your requirements. In monitors with cathode-ray tube auto-fit not. As a rule, all values have to be set manually. In order to reduce the size of the displayed image on the screen, use the buttons panel of the monitor. Clicking on the "Menu" button, select the necessary elements (width and height), using the navigation keys to decrease the values of width and height until, until you reach the desired values. Most CRT monitors these values are set to 100 units. 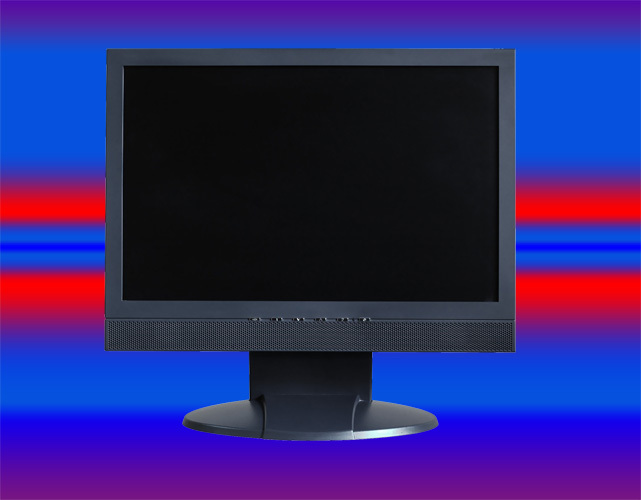 The size of modern monitors can be large enough that at first makes PC users some discomfort. To get used to the size of the new monitor, for starters, you can reduce its size. Today there are two methods that allow the user to reduce the size displayed on the monitor of the image – size reduction through the interface card and decrease through the standard functions of a personal computer. Consider each method in more detail. Reducing the size of the screen through the interface card. If you have installed the computer needs to run graphics card software and driver, you can reduce the size of the screen in the following way. Look on the taskbar icon, which will be responsible for configuring the settings of the graphics card. Clicking on this icon, in the menu go to "screen Resolution". Dragging the slider settings up and down, to determine the most optimal display mode of the screen. After saving the settings, the unused area of the desktop will be filled with black colour. To adjust to the full display, every one to two weeks increase the screen resolution. Reducing the size of the screen using the standard functions of the computer. 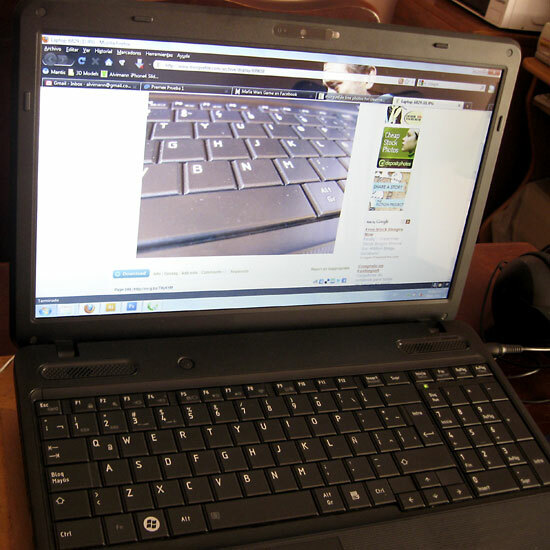 To reduce the screen in a similar way, on the desktop click on a blank area, right-click and select "Properties" (or "screen Resolution" – Windows 7). In the properties locate the item responsible for the scaling of the desktop and set the optimal parameters. Save the settings. For a more comfortable adaptation to a full-screen display mode, once every two weeks increase the screen resolution. Scale display graphical elements on the screen identifies this parameter as the solution. This option builds easily under user preferences and can be changed by them at any time. To date, there are two ways using which you will be able to ask for the screen of the monitor the most optimal resolution. For the first method responds to the client interface card. The second method involves the resolution setting of the desktop through the properties screen. 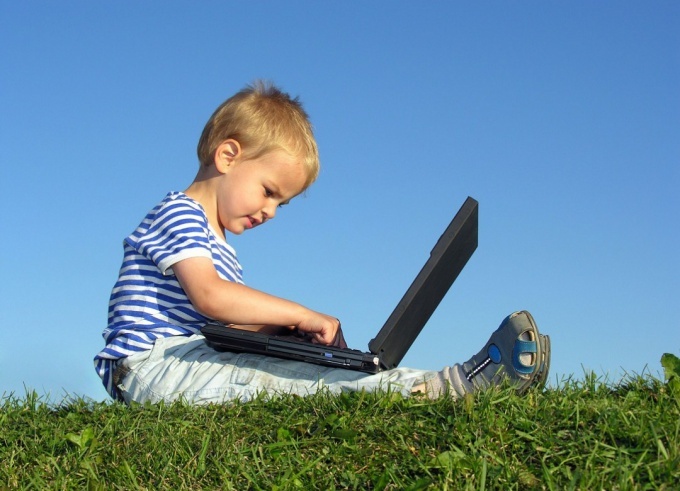 Each of the methods are rather simple to implement and does not require any special skills to operate the computer. Should discuss each option in detail. 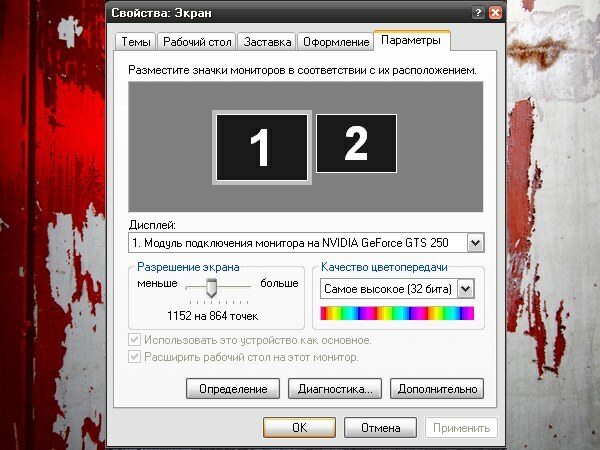 The first way is to reduce the size of the screen using the agent interface of the graphics card. We should immediately draw the user's attention at the time that the computer should have installed a set of necessary graphics drivers. Otherwise, the device agent will not be available. If you have installed any driver, you can start working with an agent card, which can be run from the system tray. Hover the mouse cursor on the icon of the graphics card. This icon resides in the system tray and is displayed in the form of a logo of the device manufacturer. Click on this icon with the right mouse button. In the appeared panel select the option "enable screen". Now you need to put the maximum possible resolution – the higher this parameter is, the smaller will be the graphical elements displayed on your desktop. Changing the resolution through properties of the screen. This method is suitable for you in that situation, if you can't find in the system tray of the agent card. To invoke the properties screen, click on the desktop, right-click. You need to click on the blank area. A form opens in which you need to set the "Properties" command. You will see a window with multiple tabs. To zoom out of the screen, click the Options tab and set the resolution slider to the maximum position. Save your changes. Graphics on your desktop will decrease in size. The main tool zooming graphical interface of Windows is the ability to change the screen resolution. Other mechanisms can change the scale of the screen for a short time ("magnifier"), to increase or decrease the fonts in the interface (font scaling), etc. But only a switching of screen resolution to change the scale of all UI elements on a regular basis. In Windows Vista and Windows 7 start how to change permissions with right click of the mouse on the background picture desktop free from shortcuts. The OS will show a context menu in which the desired item ("screen Resolution") - click it. Window opens settings screen to accommodate the words "Permission" and click the drop-down list next to it. Click this button and you will get access to the slider by moving which the left button of the mouse need to choose one of the options the screen resolution. Since the matrix monitor is made counting on a certain resolution, and all the rest are "non-native", one of the markers on the slider marked with the inscription "Recommended". In Windows XP, after click background pictures your desktop right-click you will not find in the context menu of "screen Resolution". But here is the paragraph on "Properties" - select it. Window opens the display settings of several tabs among which you need to select the "Settings"tab. Look for the slider, which is used to select the screen resolution option in the lower left corner of this tab. Install with it the desired value and click "Apply". It will provide you the opportunity to evaluate the selected option, changing for a short period (15 seconds) resolution. In this case, the screen will present a dialog box with a timer and two buttons. If you select the option to change the scale this way you need, press the "Yes" button while the timer is not reset to zero. If the new scale will be inappropriate for you, just wait for the countdown timer, and the OS will cancel the change permission. Using this mechanism, you must choose the most optimal scale of elements of the Windows graphical interface. If the list of resolution options consists of only two or three values, then it is an indication that the operating system uses the "basic" video driver. You need to install the driver that matches the version installed in computer graphics. 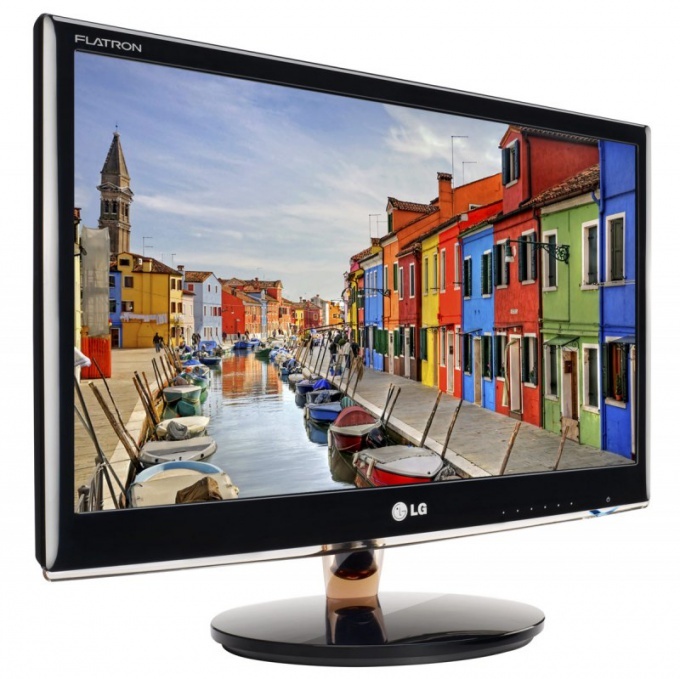 The resolution of the screen monitor allows you to improve the image quality. The high resolution makes all items more clearly. 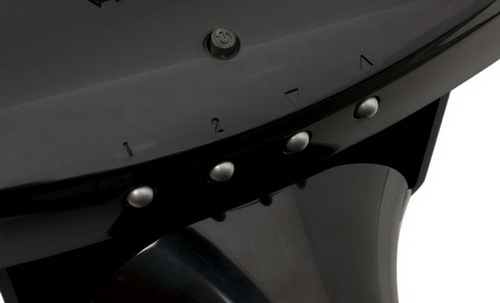 The icons on the small screen, the number displayed on the screen elements much more. The low resolution makes the display larger items, they are easy to distinguish, but put them on the screen much less. To increase or decrease the resolution of the screen of the monitor a snap. To do this, click with the left mouse button on the menu button "start". In the list on the right select "control Panel". You will see a dialog box with a list of all the different settings. Find the tab "appearance and personalization". On different operating systems, the tab may be named differently. Could just be "Personalization". However, no major differences, so the operation will not occur. Click on it with the left mouse button. Next, select "adjust resolution of the screen". You will see the window "Monitor". In the bottom left of the window, placed the scale with the slider. Above it the inscription "Resolution". If your computer has a high resolution, the slider will be the value "Above". Under the scale written permission screeninstalled at the moment. For example, 1280 by 800 pixels. Move the mouse cursor to the slider, click on it and hold down mouse, move to the value "Below". The resolution of the screen will change. The system asks the question: "to Save the new resolution?". Click on the "Ok" button or "Save". Operation decrease the resolution of the screen is completed. The icons on the screen, openable Windows will be much larger. You can easily distinguish between the icons. But their edges and the edges of the Windows may be uneven. It happens at low resolutions screen. You can try different resolution options screen. It is worth considering the fact that the size of the labels on the computer will change, so pay special attention to this. In General we can say that change resolution screen on the computer is not difficult, the main thing to do everything step by step. In the future you will not have such problems when working with the computer. 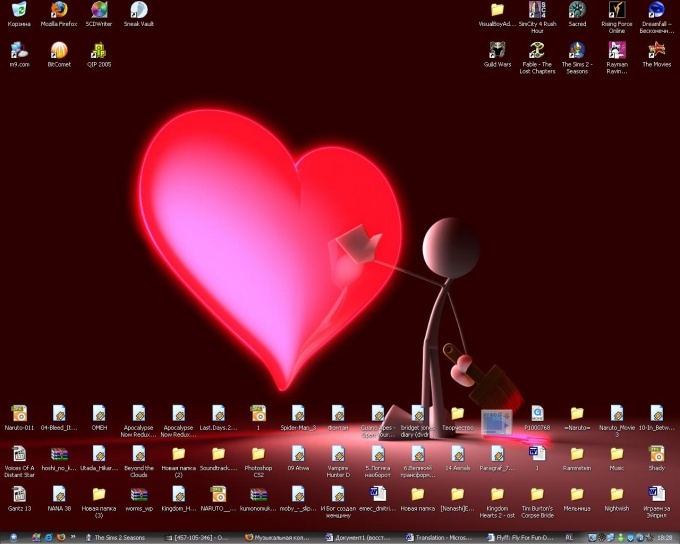 The desktop icon size and fonts on it, the size of the icons in open Windows, open documents and running programs depend on the settings screen selected. To reduce the image on the monitor, you must perform the following steps. Open the window "Properties: the Screen". To do this, select one of the ways listed below. From the start menu, go to "control Panel", select "appearance and themes" and click "Screen" and run the task "Change screen resolution". Another option: click in any empty space on the desktop right click, in the drop-down menu, select "Properties", clicking on it with any mouse button. In the dialog that appears, navigate to the "Settings" tab, under "screen Resolution", set using "sliders" to the resolution you want. The movement of the slider to the right allows you to zoom the image on the monitor, the movement to the left increases it. Click "Apply" to make the configuration take effect. Estimate the result within a few seconds. If you're satisfied, confirm the variation of parameters. If the icons on the desktop look too big, go to the tab "appearance". Click "Effects" and remove the marker in margin next to the line "Use large icons". Click OK in the window "Effects". To set the icon size to your liking, use the "Advanced" button. In the drop-down list select "Icon" and put in a box next to its value. Click "Apply". Close the window by clicking on the OK button or the X in the upper right corner of the window. If you want to reduce the icons in the start menu, open the Properties window of the taskbar and start menu". To do this, from the start menu, open "control Panel", under "appearance and themes" select the icon "taskbar and start menu". For the same purpose click the right mouse button on any blank area of the task pane, from the drop-down menu, select "Properties" or press Alt and Enter. Click on the "start Menu", click "Configure". In the dialog, set the marker in the "Small icons" under "icon Size for programs". Click OK to close the settings window and click "Apply" in the properties window. Close the properties window by clicking the OK button or the x icon in the upper corner of the window. Different computers require different design and installation parameters, which are responsible for the size of the images on the screen. In Windows XP and Windows Seven, these settings can be configured in a few minutes even a novice user. Similar operations a computer can perform a huge number of times, while using a variety of techniques. To reduce the size of the screen on the monitor, right-click in the workspace of the computer that is just on the desktop. You will see the context menu. Select "Properties". Next you need to go to the tab "Settings". You will see a small window, which displays the complete list of all parameters that are used to configure the monitor. To change the resolution of the monitor, move the slider in the desired direction. The system will automatically change the parameters. If you are satisfied, you must press the "Apply" button. Once you do, all settings will be preserved. It is also worth noting that in this menu you can change the color system settings, which will be constantly displayed on the monitor. If you need to change background image computer, click on the tab "desktop". Will be offered quite a large list of images that you can use to design your desktop. There is another way of changing the resolution of the monitor on the computer. As a rule, all operations are done similarly, just the options menu is invoked differently. Click on shortcut "My computer". Next, select in the lower right corner tab called "control Panel". Next, locate the shortcut that is called "Screen". Click the right mouse button. Can now configure the screen resolution is the same as in the first case. In the future you will not have any problems setting up your graphic settings for the operating system on a personal computer. Each user has its own requirements for the size of the screen for comfortable work on your computer. If you prefer small icons, very large images will cause discomfort and Vice versa. Of course, physically change the size of the screen of the monitor is impossible, but you can reduce (or increase) the size of the working area of the screen. To reduce the size of the screen, you can use the preset buttons of the monitor. Select button (or the option in the menu on the monitor), responsible for the size of the working area of the screen horizontally and vertically. Adjusting the desired size workspace, click responsible for updating the settings, or select the Degauss option (literally – "degauss"). To change the size of icons and labels on the screen, like zoom in or zoom out the image on the monitor, take advantage of the capabilities of its operating system. Click the right mouse button in any empty space on "Desktop". In the drop-down menu, select "Properties" - opens a new dialog box "display Properties". This window can be opened in another way. Using "start menu" call "control Panel", in the category "appearance and themes" click the left mouse button on the icon "Screen" or select the task "Change screen resolution". In the opened window go to the tab "Options". In the "screen Resolution" drag the slider left or right until, until you find the suitable size for the objects on the screen. Click "Apply". On request the system to keep the new settings, answer Yes. Close the properties window by clicking the OK button or the X icon in the upper right corner of the window. Another option is to change the screen resolution using the options of your graphics card. Open control panel graphics from the Program Files folder or look for the icon in the notification area of the "task Pane" (the area that displays the clock). In the opened window select from the available commands Change resolution (change resolution) and adjust it to your own taste. If necessary, navigate to Adjust desktop size and position (setting the size and position of the desktop) to additionally adjust the working area of the screen. Zoom function is available to a PC user was able to consider in more detail a particular object or its part. If the monitor is large enough the diagonal, the need for this feature disappears. - access to computer setup. To disable zooming in the game will change the parameters of its permissions through the menu so that it complies with the established properties of the desktop the value of this parameter. Also watch out for the preservation of the ratio of proportions, so when the game starts the image is not stretched. This happens when the video card does not support resolutions available in game menu. If the image is distorted, you can try to update the adapter driver or change the monitor resolution to appropriate, in this case by its left and right edges (top and bottom in rare cases) black bars will appear, which will be removed when you return the resolution to normal for the device status. Most often, such problems happen when you run old games on laptops or computers with a widescreen monitor in the configuration (rarely with an elongated vertically, but there are such models). To disable image scaling applications in Windows operating system locate the shortcut to run your custom program. To do this, open the properties of the desktop shortcut that is usually used just for functions of start, and click on the "Find the object". Once you find yourself in a folder with the installation files, select the file with the extension .exe, which is referred to your label. Open the compatibility settings and go to settings. Select the menu item "Disable scaling at high screen resolution". Apply and save the changes. Change your monitor resolution to the optimum value, after turning off all existing utilities in the "Special opportunities". Sometimes scaling occurs when the included onscreen keyboard. Always set the optimal resolution for the screen not to stretch the image, it spoils the eyesight.